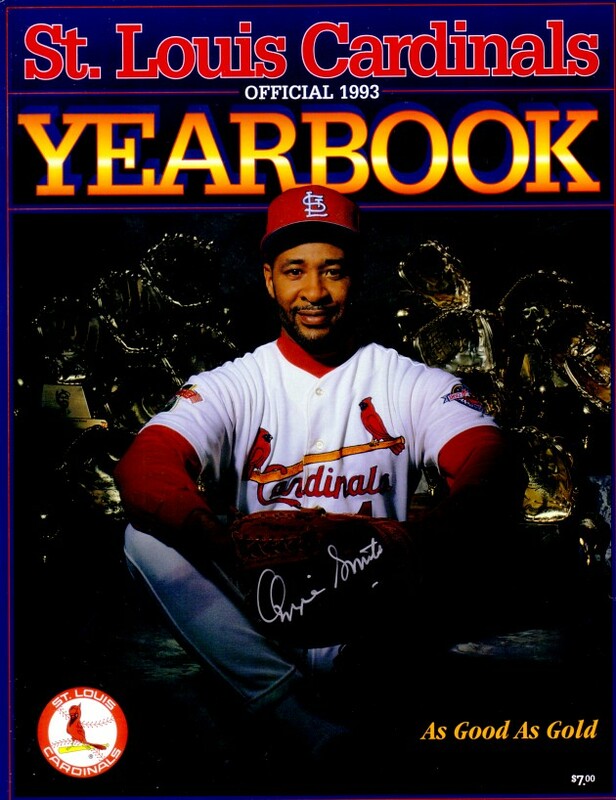 Complete St. Louis Cardinals 1993 Yearbook featuring Hall of Fame shortstop Ozzie Smith in front of his many Gold Gloves, autographed by Ozzie in thin silver paint. Has very minor wear. With certificate of authenticity from AutographsForSale.com. ONLY ONE AVAILABLE FOR SALE.